Key to my heart – It Works For Bobbi! Published on May 1, 2009 August 9, 2016 by Bobbi-Jo G.
Yep, my hubby holds the key to my heart. 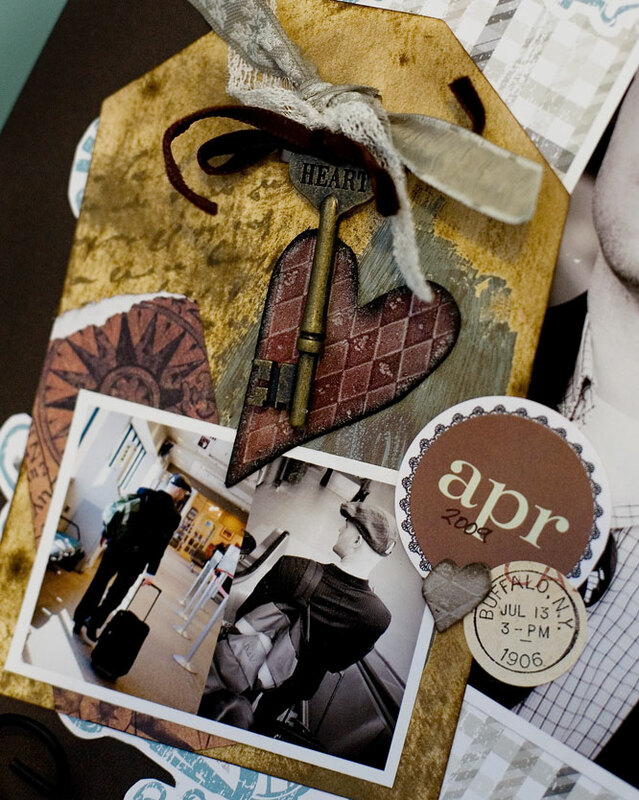 I was excited to use some Tim Holtz stuff to make a page documenting the man in my life. I had fun playing with it! I used some of his crackled paint on the tag (though I ended up covering most of it up with the photos) and his distress ink to rough up the tag. 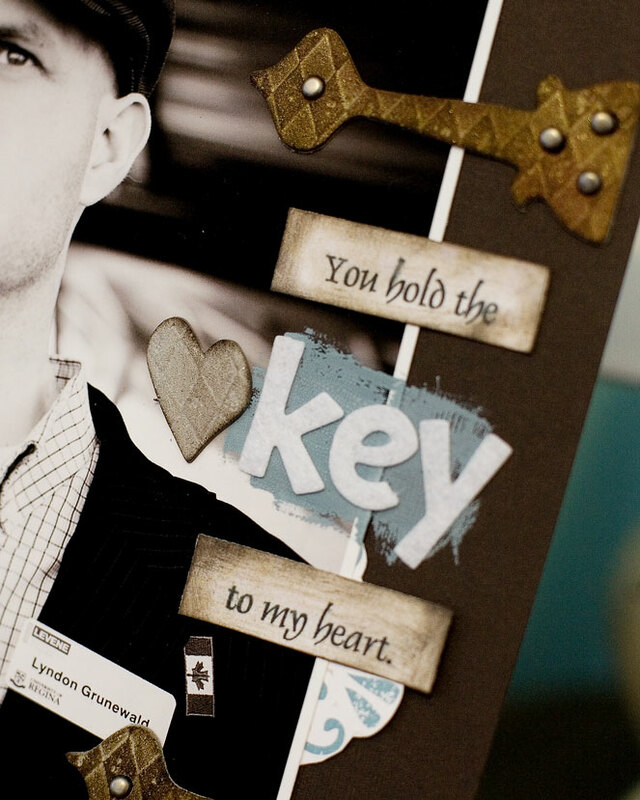 The word key is also Tim Holtz – which I LOVE. ……..here’s to only 2 more sleeps! Next Happy National Scrapbooking Day! I love that page! I’ve been wanting to try out some grunge board, too. It looks like fun stuff. Love love this page! Almost makes me want to paper scrap again! What an awesome layout Bobbi. I love it, it's gorgeous & the pic of your hubby is also gorgeous, I love it! I think that is your best layout to date! ( the subject is pretty darn fabo too) and hey girl USE THAT GRUNGEBOARD- whatever makes you feel “naughty” works for me!!!! Joanne does have a tendency to like to feel naughty.. I wouldn’t follow her advice ALL the time. BUT I must admit – lovin’ the page. Lovin’ the pic of the guy who takes up the page!! this totally made my heart happy! what an awesome LO I am not much of a grung girl either but this works for me! I love it! It’s refreshing to read about a woman missing her husband instead of a blog knocking him!! I am excited for you, just reading how excited you are! LOL! Here’s to 2 more days. 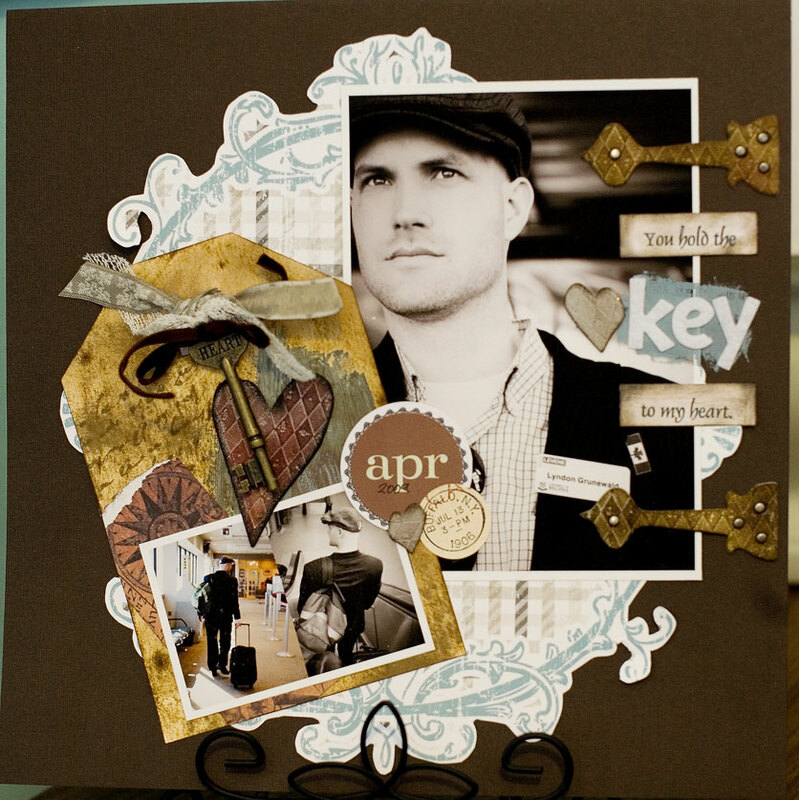 Love the “grunge” look totally in scrap booking. I know….who knew, eh?